The invisible way to straighten your teeth without braces. To discuss Invisalign® in the Raleigh NC area, please feel free to contact us to schedule an appointment. The aligners are made through a combination of Dr. King‘s expertise and 3-D computer imaging technology. As you replace each aligner with the next in the series, your teeth will move – little by little, week by week – until they have straightened to the final position Dr. King has prescribed. You’ll visit Dr. King about once every 6 weeks to ensure that your treatment is progressing as planned. Imagine Smiling Confidently With a Straighter Smile! Get answers to common questions about Invisalign! What is the Invisalign Consult? Invisalign is an alternative to metal braces that uses a series of clear, removable trays or “aligners”. These aligners are almost invisible and move the teeth slowly over time to achieve the desired result. Invisalign has the added benefits over metal braces of being much more cosmetic and being removable which allows patients to keep their teeth much cleaner during treatment. 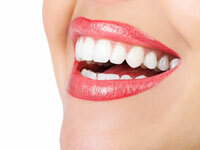 Who can benefit from Invisalign? Patients with a variety of problems can benefit from Invisalign treatment. Invisalign can fix teeth that are crowded or teeth that have too much space in between them as well as teeth that are out of alignment with the rest of the mouth. By correcting a patient’s bite, Invisalign can reduce stress on single teeth and help achieve a more harmonious bite. Invisalign can also help reduce food trap areas and reduce areas prone to cavities. Invisalign is sometimes used as part of a comprehensive treatment plan to achieve the best overall results. Cosmetically, Invisalign can help patient’s achieve their best smile by straightening their own natural teeth with beautiful results! Once the need for Invisalign has been identified, Dr. King gives the patient a FREE consult and takes measurements as well as diagnostic upper and lower impressions. These are then sent to Invisalign. The Invisalign center will work up the case and send proposals to Dr. King who will make changes and discuss with Invisalign as necessary. Once a final treatment has been determined, Dr. King will show the patient the 3D digital progressing of treatment in the office and discuss how long treatment will take and what the cost will be. The patient can elect to continue with treatment or not do treatment at this point, still at no cost. Once the patient elects to do treatment, payment is made and Invisalign makes the aligners. At the first appointment, any necessary modification is completed which can include “attachments”, which are tiny tooth colored buttons that are bonded onto the teeth to provide extra torque for the aligners. It can also include “IPR”, or interproximal reduction, which is the judicious use of polishing discs to slightly slim teeth in cases with too much crowding. Rubber bands may be used in more involved cases where the relationship between the upper and lower jaws is being improved. Most modifications are completed at the beginning of treatment but can be done at other phases of treatment as well. At this appointment, you will receive your first aligners and cases to hold them as well as detailed instructions on the use and care of your Invisalign aligners. After the initial appointment and any modifications, the patient will be given 2-3 sets of aligners. These aligners work best when worn for 22 hours per day. They are worn at night time and during the day, ideally only being taken out to eat and brush your teeth. Following the free Invisalign consult with Dr. King where impressions are taken and the patient can see a 3D progression of treatment from start to finish, patients can opt to start treatment. The cost of treatment is based on the number of aligners needed to complete the case and varies from patient to patient. Overall the cost is similar to conventional braces and payment plans can be set up with our office. Invisalign is custom tailored for each patient and varies depending on the complexity of the case. Most cases take between 9 months and a year to complete. Use a toothbrush to gently clean the aligners as needed. Never use hot water as this can cause the aligners to warp. Always take your aligners out before eating and drinking unless you are drinking water so you don’t trap food under the aligners. After eating, brush and floss your teeth.